At the Fastlane PPV, the final stop before WrestleMania 35, which will also be the final opportunity for Becky Lynch to be added to the match between Charlotte Flair and Ronda Rousey, as a win for Lynch against Charlotte Flair will result in her being added to the dream match. Despite WWE ruining the dream match that many fans had wished for when they were to pit Ronda Rousey and Becky Lynch at WrestleMania 35, the feud between the two and the inclusion of Charlotte Flair, has still kept WWE fans keenly invested. Before this feud, Charlotte and Becky were close friends, in the ring and away from it, but have shown that friendships don't really matter when there's gold on the line. The Queen replaced Becky Lynch in the Survivor Series match against Ronda Rousey after Becky was not fit to wrestle, and she once again replaced her when Vince McMahon announced that Becky was to be removed from her match against Rousey at WrestleMania 35. 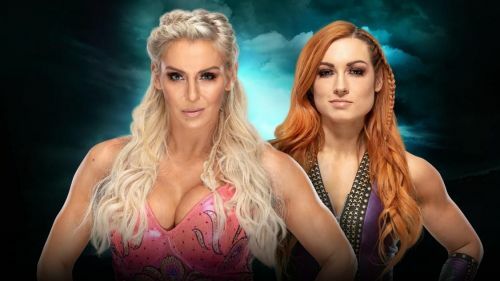 I think that there's going to be only one Superstar who can and should win in this match between Becky Lynch and Charlotte Flair - it has to be The Man getting one over Flair, and booking her spot at WrestleMania 35. If Becky does lose against Charlotte Flair, or if Ronda Rousey interferes resulting in a DQ, WWE may have more curveballs and swerves in the lead-up to The Show of Shows. Becky is super over with the fans and her gimmick has won her a lot of fans even with the mainstream audience. WWE would be wise to add her back to the match at WrestleMania 35 with a win over Charlotte Flair at Fastlane 2019.